The Target Center - pictured exactly the way the kid in me remembers it. Growing up in Minnesota, the Timberwolves were a pretty big deal to every little dude who ever picked up a basketball. I can’t think of one of my friends who didn’t have one or multiple Kevin Garnett posters plastered on their walls or in their lockers at school. KG was the man and if you were lucky enough, you could see him, live and in person, at one of my favorite places as a kid … the Target Center. Every game I went to, my friends, family and I would wait out back in the cold for hours at the magical door where all the players would enter and exit… waiting for the chance to meet … well, anyone really. I grew up about an hour southeast of Minneapolis so going to a game at the Target Center was always a big deal. I remember one time we were eating dinner and my Mom and Dad ended up surprising me with playoff tickets against the Lakers for that night, tipping-off in just a matter of hours. I was SO jacked up! Every game was special in that building, but there are a few that will always stand out. Shane Battier exiting ‘The Door’ to greet us fans. And yes, I printed this photo from a disposable camera and scanned it into a computer to get it here. Another one of my most memorable games, the Timberwolves were hosting their annual jacket drive where fans could bring jackets to donate and you would get a chance to meet the Timberwolves Dancers. My friend and I, being junior high school boys with their priorities straight, scrounged up every jacket we could find! Unfortunately, we arrived a tad late and missed the opportunity to meet the dancers. We were beyond devastated, but … at the end of the day, we were still at a T-Wolves game! However, my mom, without us having a clue, tracked down a Timberwolves employee and shared our story of disappointment. Before we knew it, a guy in a suit came to our seats, addressed us by name and told us to follow him. We followed him somewhat nervous, but more curious. The man in the suit ended up bringing us down to meet the whole Timberwolves Dance squad, gave us posters, they signed autographs and we got to take pictures with the girls. My mind was blown. I may have not know it at the time, but eventually I wanted to be the man in the suit who could seemingly effortlessly pull strings to make people’s day. December 2018, I’m boarding a plane heading to an event, which has become the usual. This time however, was different. I was alone. I was the lead on this event. I was meeting and managing a crew of people I had never met. I was, coincidentally, familiar with the venue. I was heading to the Target Center. Remember that door I mentioned I used to wait outside of for hours waiting to see who would come out? Well, now I was the guy going in that same door, not as a fan, but as THE guy. The Producer/Director of the Under Armour All America Volleyball Match. The kid in me almost stormed through the doors. Going from 300 level seats of the Target Center to the scorer’s table?? Sitting in the director’s chair??? It’s a feeling I cannot fully express into words. Nostalgia at its fullest! I walked the halls KG walked, I stood outside the locker room, I even led a meeting with the entire audio/video team who produced all those T-Wolves games I went to as a kid. I worked alongside the DJ who provided the soundtrack to all the T-Wolves games I went to as a kid (including a dance contest my Mom won at a Lynx game, but that is a story for another time). All I could do was look up at the seats where I used to sit, look at the banners, give a nod to Malik Sealy and Flip Saunders, and try and focus on the task at hand. But for one moment, through door and onto the floor… it feels like I’ve made it. 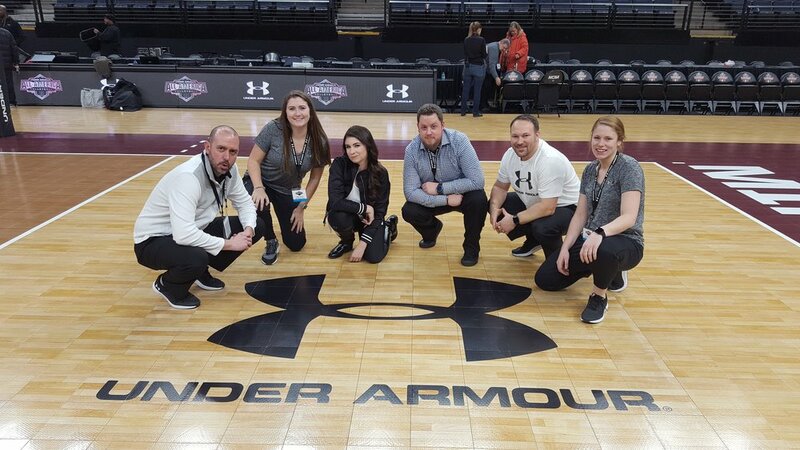 The Under Armour All America Volleyball / 3PT / Timberwolves production #squad. With the 2017 Seattle Storm season officially in the books (although sooner than we all would've hoped), there's no shortage of memorable moments or milestones to look back on and celebrate. 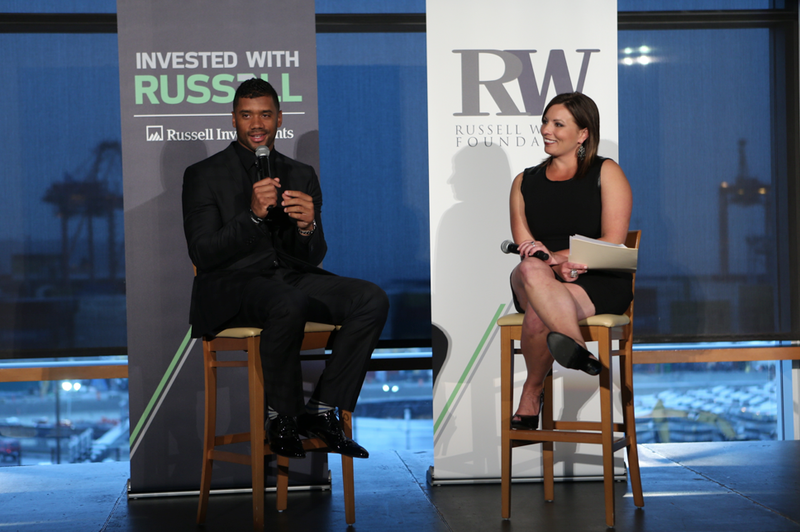 Some of the biggest highlights include Sue Bird becoming the WNBA's All-Time Assist Leader, and Seattle shining as a first-time host to the WNBA All-Star Game. The Storm ownership group, Force 10 Hoops, celebrated their 10th Anniversary which was honored during a halftime ceremony on Fan Appreciation Night. Breanna Stewart set some new franchise marks and made her first WNBA All-Star appearance, while Jewell Loyd certainly showed flashes of brilliance during her ascension into young WNBA stardom. The Storm have a lot to be proud of coming out of the 2017 season and, more importantly, a lot to look forward to. 2017 also marked 3 Point Production's fourth straight season as the Storm's official game presentation partner. As we continue to strive to produce the WNBA's highest quality entertainment, we also challenge ourselves to provide the greatest home court advantage in the league. We take a great deal of pride in our history and relationship with the front office staff and the Storm players (Sue and I started the same year). Their continued confidence and support of our creative process has brought to life some of our favorite ideas and concepts to date. Each year we develop and plan for at least one premier entertainment video series featuring Storm players that we capture at Storm Media Day and debut at games throughout the season. In previous years these have included the Storm Lip Sync Battle, Between Two Birds, Storm Mini-Games and classically, Storm Movie Magic. Given our rich history with the Storm organization, we've been able to connect with the players and really get to know their personalities which I believe is evident in our work. Over the years, we've continued to develop more and more confidence and chemistry. This year was no exception. While planning for this season, in addition to obligations for sponsorship, theme nights and marketing activations, we developed some fresh new video features to enhance the overall fan experience. We debuted a new set of situational crowd prompts and Storm Player GIFs which we were able to add to our 2016 inventory. We also unveiled two completely new, full-season video features this summer, 'Storm Toss Up' and this year's fan favorite, the 'Fake New Reports'. Based on the Fake News phenomenon that has riddled the media in 2017, Derrick Gomez and I developed a concept for a Fake News parody series with stories based on the Storm's brightest stars. We scripted each interview for our Fake News Correspondent, Marty, who was played by Derrick himself. Working alongside David Albright Media, we dove deep into audio and visual details for each storyline - probably more than any of us are willing to admit. Filled with drops of pop culture and nods to internet sensations, the final products each propose a uniquely ridiculous but somewhat believable narrative designed to leave the viewer pondering, "Is this really fake news?". Is Sue Bird the WNBA Logowoman?!? Breanna Stewart has a new nickname?!? For the first time in four seasons, the Storm jersey didn't change in color, sponsor or appearance, so the video inventory we built in 2016 around the core players was still for the most part relevant. Knowing we could rely on that inventory, we were able to build out and expand on more situational crowd hypes and fan prompts. When creating a home court advantage, these type of assets are critical. Whether it was a clever audio sting or a situational player GIF that we ran on the video board, we had an element built and ready to react to every possible in-game scenario. Below are two examples of new video based elements from the 2017 season. On the left, a crowd hype we'd use coming out of late-game timeouts to hype the crowd or "bump" back into gameplay. This was a hype I originally filmed last year but one of the players we shot it with was cut early in the season so we were only able to use it one time. Below on the right, is an example of our new noise graphics that we triggered throughout the game with various audio prompts coming from the DJ. The crowd really responded to these, especially since we had four versions; one with Sue Bird, one with Jewell Loyd, one with Breanna Stewart and one with the 3 of them rotating. We used them situationally; for instance, if Jewell hit a big shot, we could come back with her specific noise prompt. Shooting these through the unique perspective from behind the player's back allowed us to feature the player's name prominently and make it seem as if the player was turning to the crowd for response. Seattle turned out for WNBA All-Star 2017, KeyArena was lit from the jump. 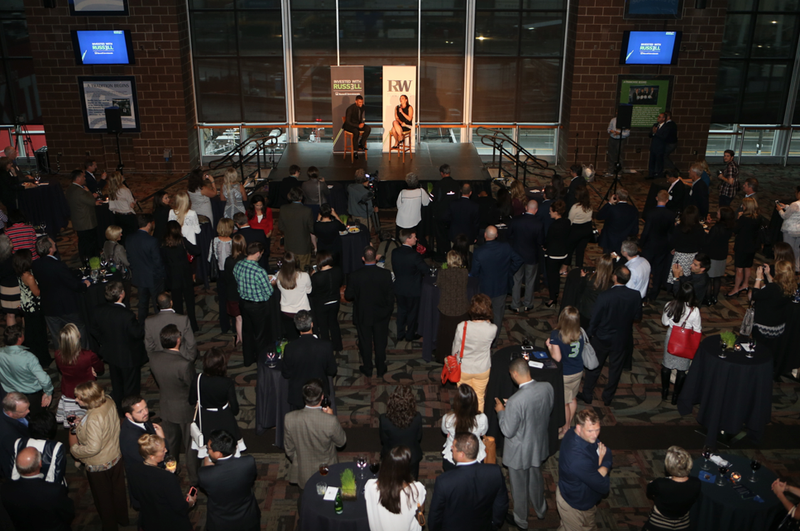 From the moment we found out that Seattle was set to host Verizon WNBA All-Star 2017 at KeyArena, we were filled with excitement. In our very first planning meeting with the WNBA, we vowed to make this All-Star experience second to none. In that same meeting, we pitched the idea of bringing back the WNBA Three-Point Contest which resulted in the competition being broadcast live on ABC Sports as the halftime entertainment. 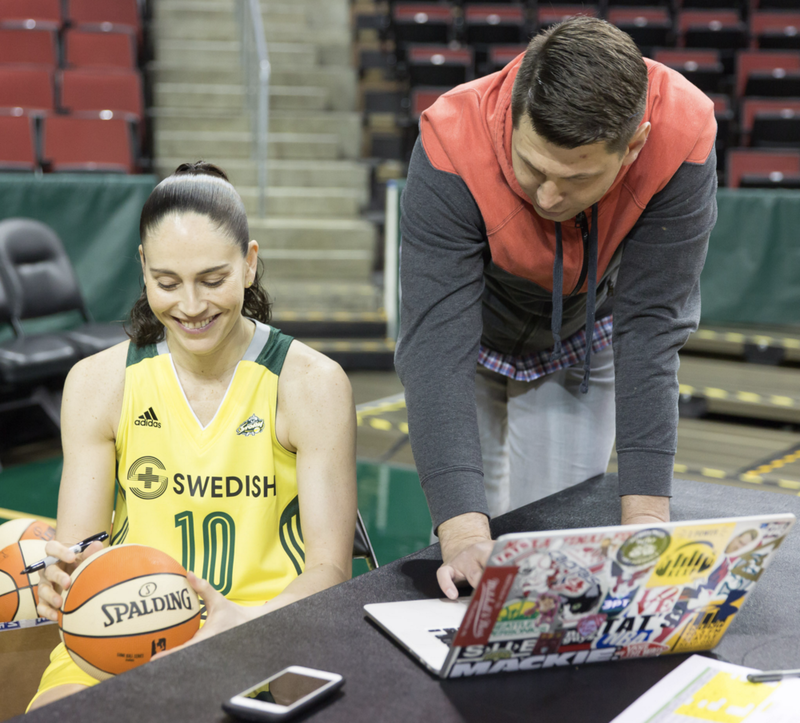 With 15,000+ fans nearly pushing KeyArena to capacity, the event provided a grand stage to represent for our city and properly showcase our appreciation for long-time Storm guard, Sue Bird. In many ways, the game was a celebration of her career here and everything she's done for Seattle basketball. Sue Bird competing in the WNBA Three-Point Contest at Halftime. Another very special moment of the presentation that stands out from our perspective is the All-Star player introduction sequence. Working with the league and broadcast team, we were able to adjust some pregame timings to allow us to bring all of the players back of house and stage them in tunnels within the stands. As a surprise to the fans, the players were introduced roughly 15 rows up and stepped through tunnels of high-fives all the way to the court. We incorporated orange lighting and smoke effects as well as WNBA All-Star branded stair decals to enhance the visuals of the presentation. 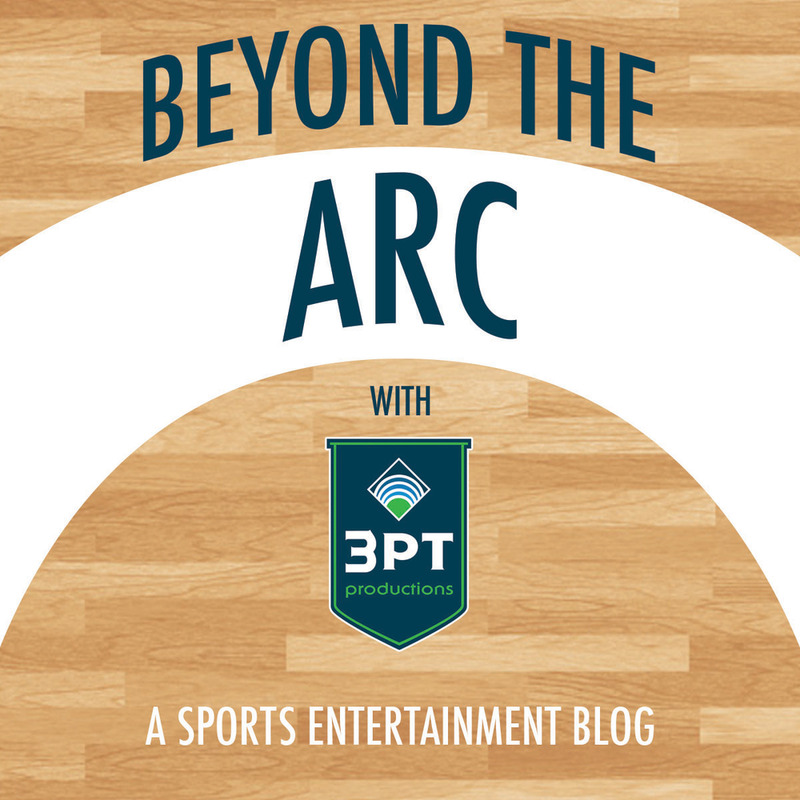 The intro video and audio selections hyped KeyArena through a rousing sequence that Sue Bird later singled out as her favorite moment of the weekend. Not only was the event a huge success in the eyes of the players, Storm, WNBA and their sponsors, but it also marked one of the cleanest overall event presentations in our company's history. It's certainly a day that all of us will never forget. Sue Bird being introduced as the starting Point Guard of the West All-Stars nearly brought the roof off of KeyArena. In summary, there's only one way to properly end this, the 2017 Storm season was bananas. Our involvement with Turner Sports Final Four events began just one month into our company's launch and has continued to grow ever since. This past week in Phoenix, we had the great opportunity to produce at our sixth straight Final Four, one of the nation’s largest sporting weekends of the year. Our Road to the Final Four began about five years ago, with a phone call the month we opened doors at the 3 Point office. Turner Sports was looking for a group to produce a college basketball Legends Game in New Orleans and some of our longtime NBA colleagues in the Big Easy told them about a group of producers up in the Pacific Northwest. What began as a Legends Game grew into a scope that year that also included the pregame fan fest called Tip-Off Tailgate outside the Superdome. The next year in Atlanta, we got involved with the March Madness Music Festival, producing intermission stage programming on the Coca-Cola and Capital One concerts. As we worked year to year on the events, with our production scope continuing to expand in Dallas, Indianapolis, Houston and now Phoenix…I take a moment each year to stop and marvel at what a privilege it is to work on an event weekend that most people consider a bucket list item. Final Four is the ultimate fan experience, well beyond the games and One Shining Moment. Final Four Fan Fest, taking place at the host city’s convention center, is an interactive fan zone that is the dream of any hoops fan that enters. From viewing parties to autograph sessions to sponsor footprints like Capital One’s mini baseball stadium and Oreo’s slam dunk court, it’s the type of place you can spend eight hours and barely realize the day has passed. March Madness Music Festival is the largest free music event in the country and has seen some of the biggest music acts grace the stage…including Dave Matthews, Sting, Bruce Springsteen, Macklemore & Ryan Lewis, Rihanna, Aerosmith and Kendrick Lamar. Charles Barkley makes his annual stage appearance heading into Capital One’s Sunday headliner and brings along friends like Shaq, Jim Nantz and Greg Gumbel. We’ve also had fun writing copy for celebrity stage hosts like Kevin Hart and Andy Richter. Tip-Off Tailgate is the ultimate pregame stop for fans attending the game, taking place right outside venues like AT&T Stadium in Arlington and University of Phoenix Stadium in Glendale. Programming the stage and building crowd energy with pre-game pep rallies, concerts and DJ’s like Scotty B putting down the beats, it’s an honor for us to entertain the masses of fans that travel out for college basketball’s peak performers. Some people call their jobs work, but this never feels like work…it feels like fun and it is so rewarding to see the smiles on the faces of so many fans. Whether it’s their opportunity to be on stage to introduce a band, show their best moves in a dance contest, catch a t-shirt thrown into the crowd or ride the Ferris Wheel, I feel good knowing that our crew is making dreams come true for so many people. While I will never lift an NCAA trophy above my head on the court, I feel like a champion each year because of the impact of fan experience.